Saffron is a spice with flavor with no parallel or substitute, hovering between honeyed, sweetly floral and ineffably earthy. It’s used in fragrant rice dishes, paella and bouillabaisse. It’s also the most expensive spice the world. Made from the hand-picked and dried stigmas of a fall crocus, saffron retails for about $5,000 per pound. By weight, it is more expensive than gold. Thanks to efforts to bring saffron from the Mediterranean to New England, Mainers soon may be cashing in on this golden spice. 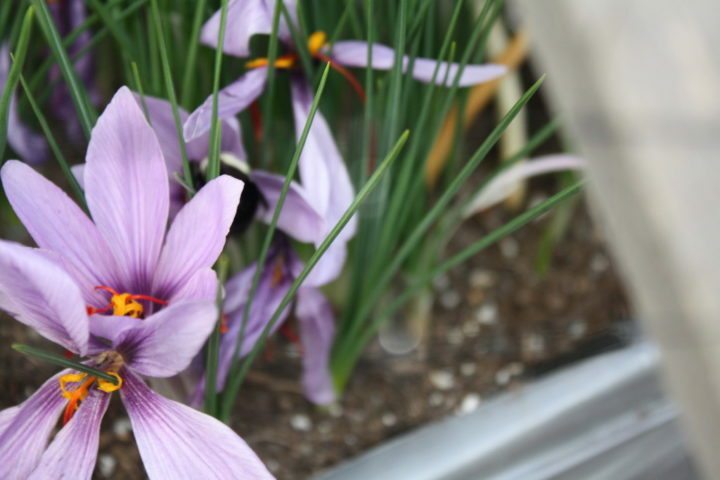 Saffron crocuses growing at the University of Vermont's North American Center for Saffron Research and Development. The North American Center for Saffron Research and Development at the University of Vermont has made it its mission to transform New England into the country’s saffron-growing hotspot. Arash Ghalehgolabbehbahani, now a postdoctoral research associate at the North American Center for Saffron Research and Development, was visiting his wife, then a Ph.D. candidate at the University of Vermont, when he met entomology professor Margaret Skinner. Ghalehgolabbehbahani and Skinner began discussing cold weather crops — conventional leafy greens that usually require temperature regulation from greenhouses or cold frames in the coldest months — when Ghalehgolabbehbahani had a thought. “Why not switch to some plants more resistant to cold weather?” Ghalehgolabbehbahani recalled asking. He suggested saffron, thinking about the resilience of the crocus and the economic boon of the spice in his home country of Iran, the largest saffron producing country in the world. Skinner laughed initially, but a couple days later, she asked what exactly he had in mind. 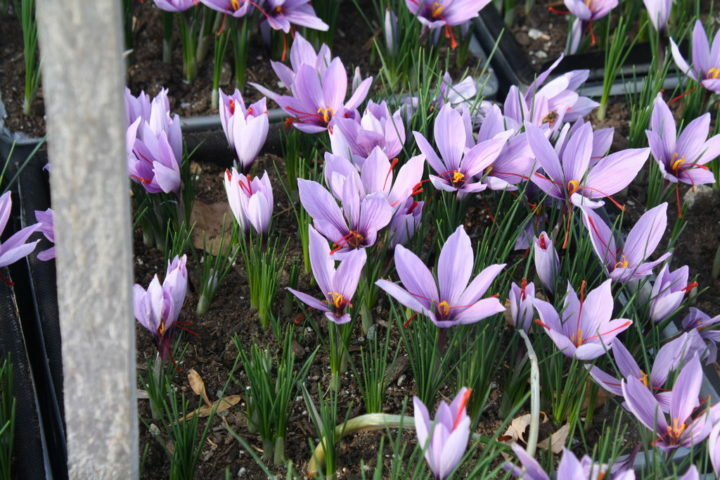 “We planted saffron in the high tunnel, but after a while we understood maybe there’s a potential to produce in the field,” Ghalehgolabbehbahani said. 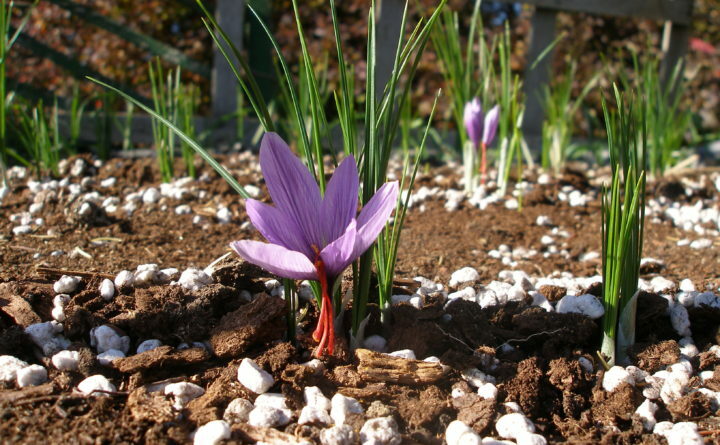 They brought the plants outside, and when the saffron crocuses survived into the fall harvest, and with that came the realization: “[Saffron] can tolerate the cold temperatures in New England,” Ghalehgolabbehbahani said. Now, Skinner and Ghalehgolabbehbahani co-manage the North American Center for Saffron Research and Development and run a network called Saffronnet for hundreds of saffron growers to communicate with one another and receive regular updates from the research center. They also host an annual saffron workshop for current and prospective growers, with attendees from all over the country. It is at this annual workshop where growers in Maine have started on their own saffron-growing journeys. Boardman’s saffron crop has been largely successful, and she plans to expand her crop area. “It really can be grown in this zone,” she said. Marstaller had tried growing poinsettias and chrysanthemums during the off-season in years past, but he said they are “pretty much breakeven,” whereas saffron has the potential to be more profitable. Saffron growing in Maine is still in its infancy, but it may appeal to struggling growers looking to diversify their crops. Saffron growing the University of Vermont's North American Center for Saffron Research and Development. Hopkins has dabbled in saffron growing herself. She had been reading about the work at the University of Vermont when a saffron producer called her with a couple dozen bulbs to spare. “I thought, ‘Well, I’ll just put these out and see what happens,’” she said. Hopkins could not say for sure what caused her saffron plot to succumb, but she has a hunch: rodents. “They are delectable apparently to rodents of which we have a variety here in Maine,” Hopkins said. Besides the pest problem, there is more precipitation in the Pine Tree State than there is in the arid eastern Mediterranean, so the plants can be more susceptible to oversaturation and fungal disease. Growing and producing saffron is also intensive, both with respect to land and labor. 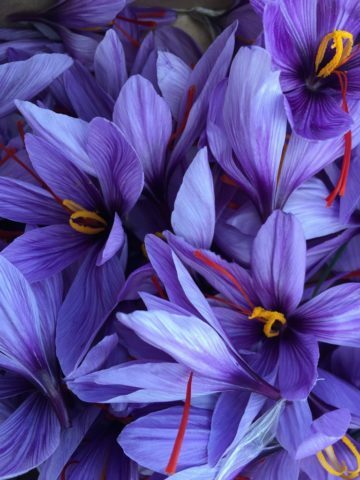 Producing a pound of saffron requires between 50,000 and 75,000 crocus plants, and even expert growers harvest only about four pounds of saffron per acre. The perennial crop also needs to be dug up entirely and relocated every six or seven years. Then, there is the matter of producing the spice itself. The thread-like red stigmas need to be removed from the crocus by hand; there is no mechanized method for the tedious task, which is part of the reason the spice is so expensive. After they are removed, the delicate stigmas need to be dried out to be used as flavoring. If growers are willing to put in the time, though, the conditions might be just right for Mainers to get into saffron growing given the prominence of the local food movement in Maine. Boardman sold her first batch of saffron this past year to Split Rock Distilling, which plans to use the spice for its simple syrups. Marstaller does not yet have a buyer, but he is hopeful; he has toyed with the idea of dropping his samples off at local restaurants along with his contact information. Correction: A previous version of this story misspelled Barbara Boardman’s last name.